Earlier this week, Facebook head of security Alex Stamos publicly stated that Adobe Flash needs an end-of-life date, encouraging browsers to use "killbits" that disable it. The torch was taken up by none other than Firefox, who instituted an automatic block on Flash content in a new update. Any Firefox user hoping to access Flash had to disable it manually, something the average person probably won't do. Firefox later dropped the block after Adobe released an update, but this isn't the first time someone blocked Flash, and it won't be the last. To be clear, Facebook and Firefox have some good reasons for doing this. Adobe Flash was once the king of online content delivery, providing access to videos, animations, and even games that downloaded fairly smoothly on 56K modem connections. 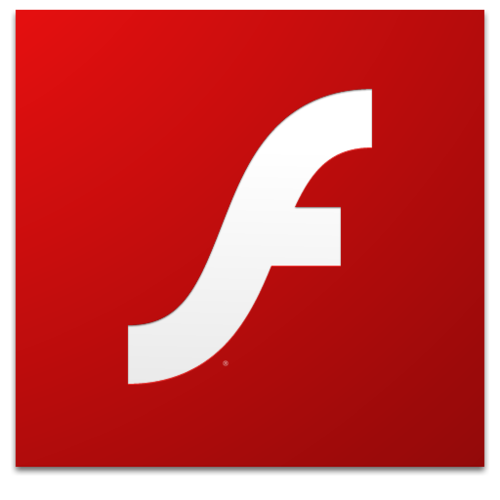 But today, Flash is notoriously filled with security holes, and usually requires fixes after each major update. Since the vast majority of online advertising uses Flash, huge portions of internet audiences are exposed to potential exploits. While secure alternatives exist, including HTML5, many websites continue to rely on Flash at some level of their design. You can imagine the panic that followed Monday's announcement, as Adobe rushed to patch security holes while web designers hurriedly prepared alternatives. But what really strikes me is the hostility expressed against Adobe Flash in all of this. Firefox's Mark Schmidt linked an "Occupy Flash" picture in his Twitter post. Commenters flooded the internet calling for its literal death. There's a strong, anti-Flash sentiment that's been building for years which Facebook and Firefox's one-two punch brought into the light. It's jarring, because Flash used to be a platform that pioneered a better internet - and not just from a technology standpoint. The groundwork for how we consume online entertainment was laid by Flash, providing audiences to independent creators. Flash even reached beyond the internet to impact the world of televised media. Even if we need to drop Flash, this reactionary hatred really downplays its contributions and historical value. Take the field of video streaming and animation. Before YouTube set the standard for video content, Flash was the platform of choice for video creators. 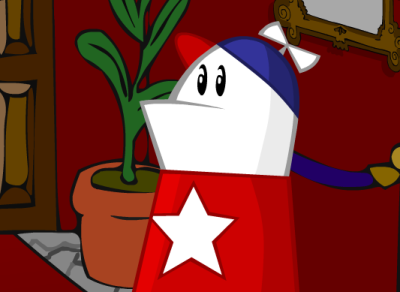 Homestar Runner, Neurotically Yours, Broken Saints, and countless other web series were only feasible because of services Adobe provided. Without Flash, these shows would never have proliferated to become the online classics many fondly remember today. And while some critics may claim Flash isn't true animation software, that's never stopped its professional use. The Adult Swim series Harvey Birdman: Attorney at Law dropped cel animation for Flash because it was easier to meet production deadlines. Blue's Clues and Foster's Home For Imaginary Friends used Flash during various seasons. Hell, even My Little Pony: Friendship Is Magic was developed using Adobe's software. Critics really seem to be downplaying Flash's impact on the world, and how different our media would be without it. Then you have the world of online gaming. Before Flash, browser games were few and far between, and certainly didn't get mainstream attention. But the rise of web portals like Newgrounds, Armor Games, and our own sister site Addicting Games proved the model was feasible - and profitable thanks to advertising revenue. More importantly, Flash's versatility provided a massive outlet where indie developers could quickly find an audience: Super Meat Boy, Alien Hominid, Super Chibi Knight, and many other games started as Flash products that were later refined into commercial releases - and in some cases retail products. Today Unity is the engine of choice, but back then any up-and-coming dev wanting to make a big impression could do so with Flash. We'd certainly be remiss not to consider advertising revenue. Some may consider "web-based advertising" to be a dirty word - and in fairness, there are some horribly intrusive ads out there - but the internet is still a business. Content creators deserve to be paid, and whether you're working solo or for an outlet, advertising usually covers the bulk of revenue. Flash offered an easy way for advertisers to integrate their services to web pages, and continues to do so today. I know: "Boo hoo, those poor advertisers", right? Well I guarantee that once Firefox blocked Flash, someone at every for-profit website lost their freaking mind. What Firefox did literally slashed profits across the entire internet, and that's devastating for smaller websites relying on Flash ads - especially if you're paying for bandwidth directly. Even if it forces websites to embrace secure alternatives, that process will take time. Not everyone can afford the wait, the transition cost, or will appreciate Firefox pressuring them to make the change on its terms. In fact, as of writing Firefox is already getting some social media backlash for blocking Flash without warning. Now, does this mean we should keep Flash, ignore the security holes, and forget about its alternatives? Of course not - but it does mean Flash's history is more complex than Occupy Flash posters and social media comments let on. Security exploits are important, but actually getting mad at Flash is like hating fax machines, pagers, or landline telephones. These technologies were revolutionary: So revolutionary, in fact, that they opened the door to a future which didn't need them.